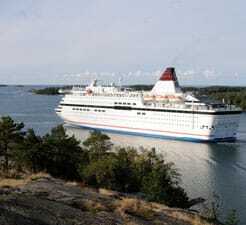 At directferries.co.uk you can plan, compare and book your ferry to Sweden sailing to the port of Ystad quickly, easily and securely online. Our comparison tool allows you to view Ystad timetables and ferry prices on all possible routes removing the need to check numerous other websites. All you need to is pick the departure port for your ferry to Ystad, select the number of people travelling on this journey and search! Me and my wife travelled with the day ferry from Poland to Ystad. We had booked a cabin but that wasn't needed since there were lots of places where you could sit down and rest during the crossing. One thing we especially appreciated was the big selection of food places, bars et.c. onboard. We often travel to Germany and they lack this big selection of "restaurants" that we found on this ferry. We feel very positive about this trip and will most likely choose the ferry to Poland next time we go for a holiday by car at the continent.